It’s been a while since I last updated you on our little summer born, Teddy. 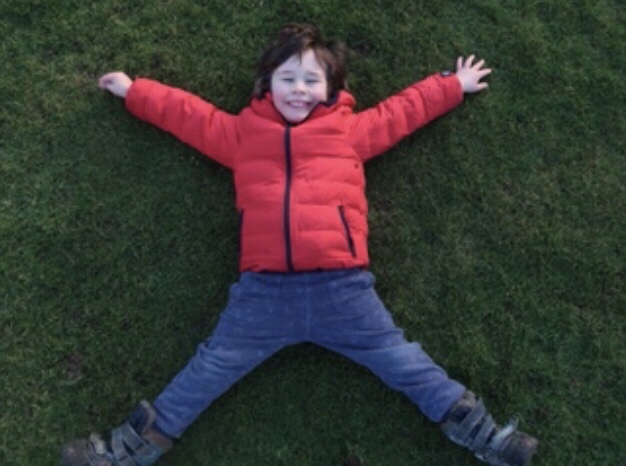 He turned 4 back in July 2017 and continued in his nursery in September with the full support of the nursery and the headteacher at our local primary school. Then as anticipated with my husband’s role in the forces, we ended up being relocated from Lancashire to Yorkshire in January. This brought me concerns over having to start the deferment process all over again. The local authority (LA) in Lancashire are not pro summer born ( LA) and so we weren’t given LA permission to defer his Reception year, however we were fortunate enough to have a very supportive primary head and nursery. The head in Lancashire had granted his permission to defer Teddy into September 2018 intake as the LA letter of decline had been loosely worded in favour of the decision being predominately the head teacher’s to make. We had heard good things about Yorkshire being a ‘yes’ but not knowing the local schools and staff made me anxious. Our supportive Head wrote us yet another letter outlining how he had intentions of allowing Teddy to defer reception until September 2018 and how he thought it would be in Teddy’s best interest to stay with this decision allowing him a full year of reception as we had all intended. We applied for a primary place in January along with the rest of England and submitted all of our supportive correspondence from the school / nursery in Lancashire as evidence, and didn’t include the letter from Lancashire saying “no”! On finding the local catchment school in York we contacted the school (academy) and were told that the Head Teacher would meet with us when we were in the area just before the deadline of primary places. This made me anxious as I felt that this wasn’t enough time to know whether we needed to fight our corner and persuade the school or find an alternative school before the primary application deadline. Fortunately my husband was lucky enough to push for a phone call and get an understating on her stance of summer-borns. Dougie at length discussed our reasons for deferring Teddy and how we felt our research into summer-borns is right for our family. Fortunately the new Principal agreed to uphold the decision made by our previous headteacher and agreed that our thoughts were backed up well from our own research. We submitted our application in January and await the final decision from York City Council. Teddy has started his new nursery, which is at the local school, and is happy with the nursery/home time split, although he always does prefer being at home, as that is in his nature to be a home boy. He’s at his happiest doing activities with Florence and I, or having some much needed quiet time. He enjoys his ‘Mummy and Me’ time immensely and loves having little days out exploring or baking and creating with me and having that quality time. As for me I’m enjoying Teddy’s company more and more now he’s 4, and I feel that we have bonded more in this extra time that we should be entitled to have at age 4. He is learning so many life skills at home that I feel he would have just missed out on if he had gone to school at just turned 4. I love nothing more than being outdoors and walking holding his little hand and having funny little chats with him, I really cherish these moments. I would have felt that both of us would have been cheated if he had already been in full time school as he just wasn’t at this civilised stage last summer! The other positives are that he still occasionally naps when needed. 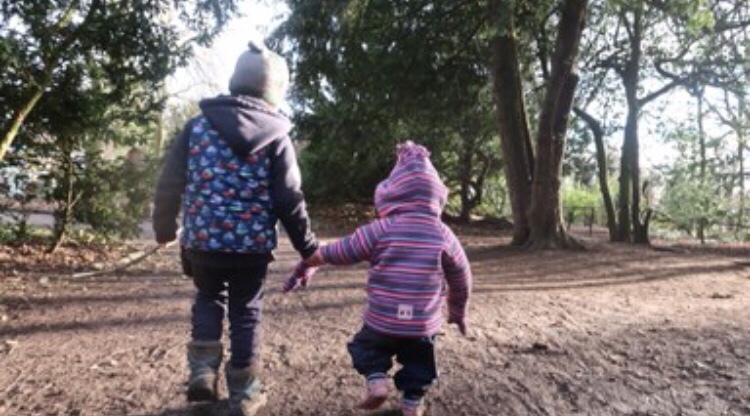 We both felt he wouldn’t have functioned at his best back in the Autumn term when he was catching colds and feeling exhausted doing just his nursery hours. Last summer he seemed so little and was just starting to stop having endless tantrums and frustrations, so I now get to spend time with a more emotionally developed boy, instead of endless days living with an unreasonable albeit cute threenager . At 4 1/2 he’s now showing signs of being school ready and so he hasn’t been anxious in being rushed emotionally and academically. He’s been able to develop at his own rate, and is capable of being more independent in self care and showing all the right signs in embracing writing and reading. Regularly my husband and I reiterate to ourselves just how much we’re truly happy that we made the right decision for him and us in having this vital time with him that we will never get back. I often wondered what reaction we would have on our decision and in fact I’m surprised to say not many people have even noticed that we have deferred him. I have always been prepared to respond to such questions and have had a few brief conversations over our decision but haven’t really been met with much negativity. I have overheard a few conversations by people doubting why parents choose to defer and I have always taken the attitude of they haven’t been supplied with the right information and facts and so sometimes in life it’s just not worth wasting your energy in persuading people who just don’t get certain decisions you’re entitled to have a choice on. That said there are also genuinely lots of people (even in education) who don’t realise that you can apply for deferment to start in Recpetion rather than Year one entry. I have to say we never set out on this journey with any doubts, and are pleased to say that nearly 6 months in, we don’t have any regrets. We now have 6 months left to really enjoy our lovely little boy before he embarks on his next exciting chapter of turning 5 and starting school all prepared with the developmental tools he needs to hopefully flourish. Here are my previous summer born blog posts. June for Team Stein means…. Weaning – The Baby Led Way! "Half Term Rest days and Celebrations!" Bet that’s a relief after getting the deferral you wanted last year. I think everyone should do what’s right for them. Thankfully we didn’t have to make that decision, but as someone who works and with a child who was used to pretty much full time nursery at longer hours than school, I think N would have been fine. We know someone who moved her child down a year in year 4 and he’s thrived repeating a year (started at a new school) and being the oldest in a year. Yes, I agree it’s totally down to what’s best for each family. Thank you for stopping by!